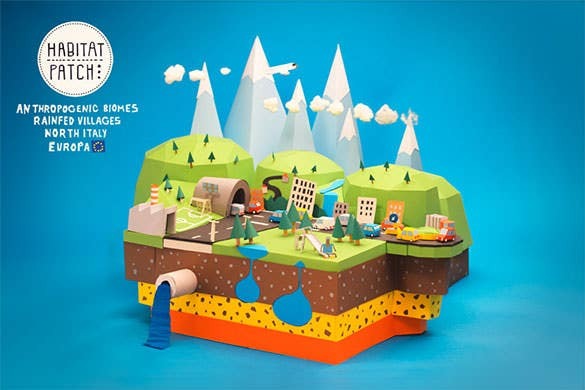 It’s true that the contemporary era is governed by the digital technology but paper has still managed to retain its value among the creative spirits. 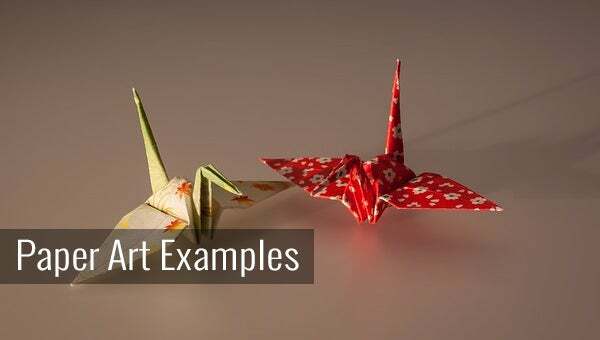 The designs that you can create with paper car templates are simply boundless, including airplanes, flowers, bags, toys and what not. These artistic expressions are not only relished by the kids but are enjoyed by the adults equally as well. A castle is everyone’s dream home, and you can frequently see kids and adults making castles in the sand and ice. 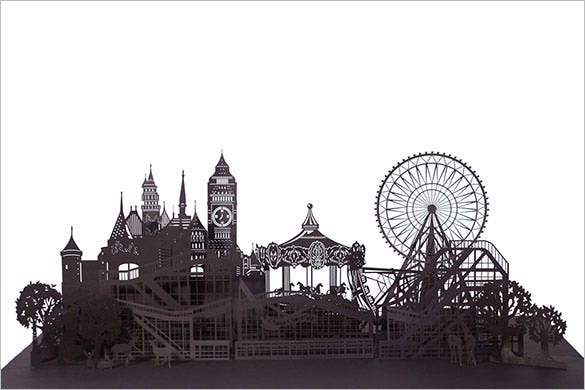 But this amazing paper art example template allows you to make your castle with paper. 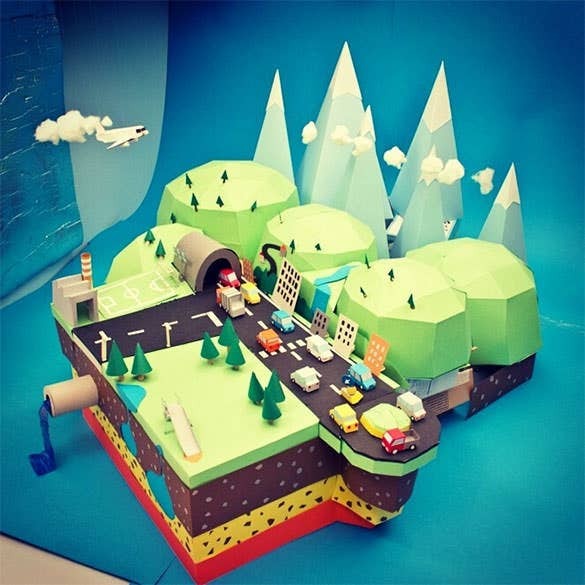 If you want to make a castle of your own with paper, then this template is the thing that you need. 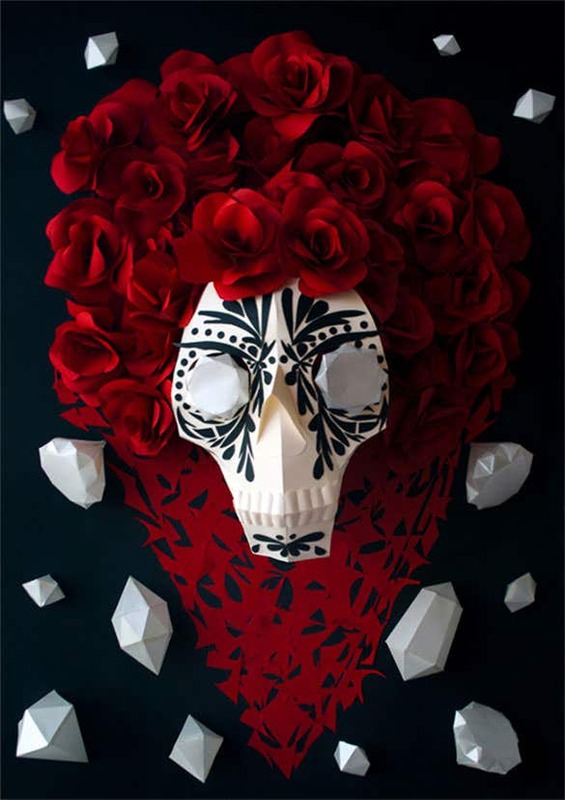 Here is a cute paper art download with bright red roses and a face. You would love to appreciate the beauty of this template, and create something that is a perfect mix of beauty and nature. Simply adore the face with a rose head, diamond earrings, and a crystal necklace. An eagle is known for its high flight and strong eye sight. 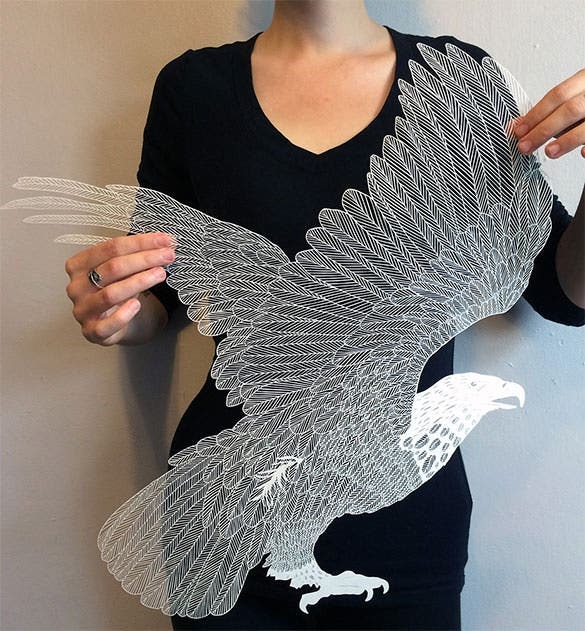 This wonderful paper art free download will allow you to make a perfect piece of art with intricate eagle design. Amaze your friends with what you have made, and you are sure to get appreciation from all sides. 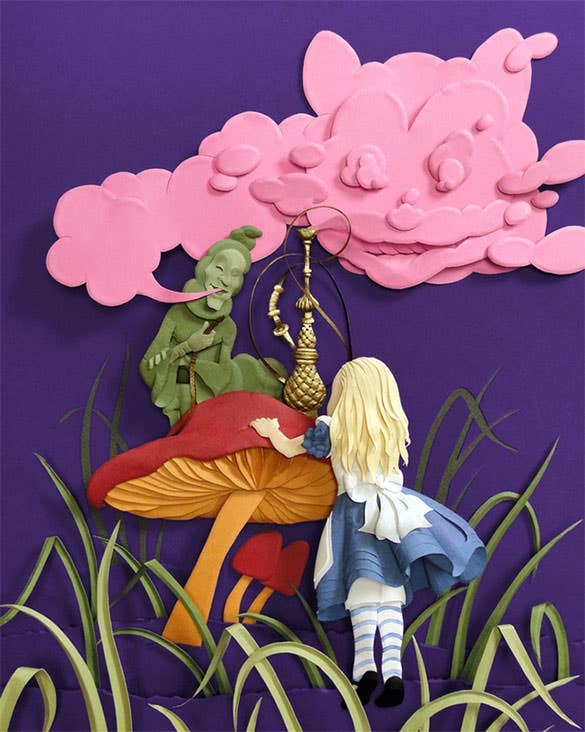 If you want to make your own masterpiece with something different than painting and sketching, this stunning paper art template is meant just for you. 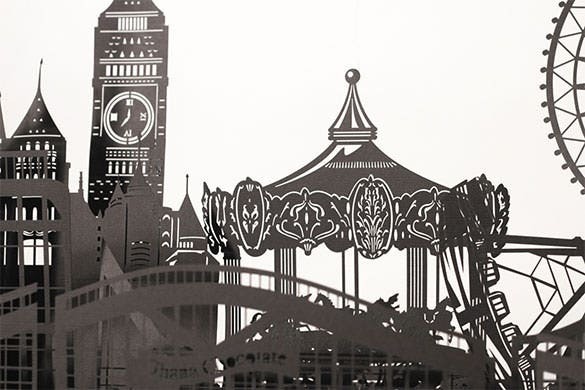 With its amazing paper cut out designs and stunning use of colors, you will be able to make an art piece that is worth showing off. 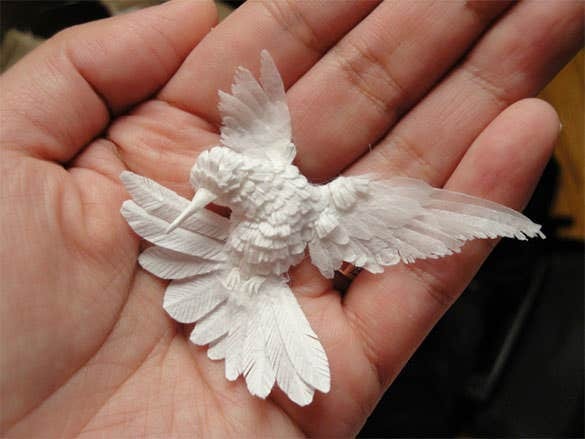 Birds are an epitome of flight, freedom and ecstasy. 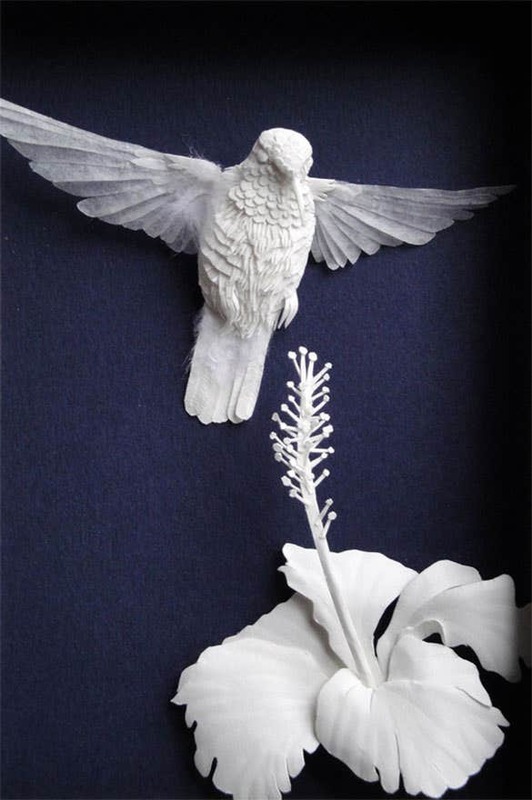 Decorate your room, walls or surrounding with these white colored birds with fiery red eyes. 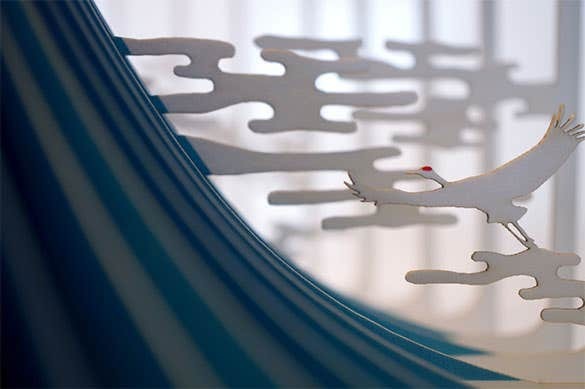 Download this astonishing paper art template and create something that will give a sense of openness to your space. The bird looks peaceful and ready to fly. 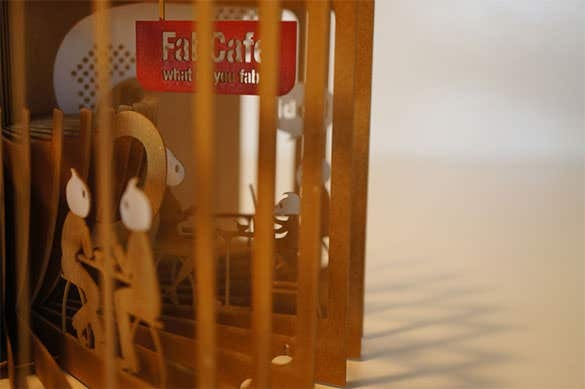 Do you dream of building a café of your own? Do you like people eating, drinking and having good time in a restaurant? 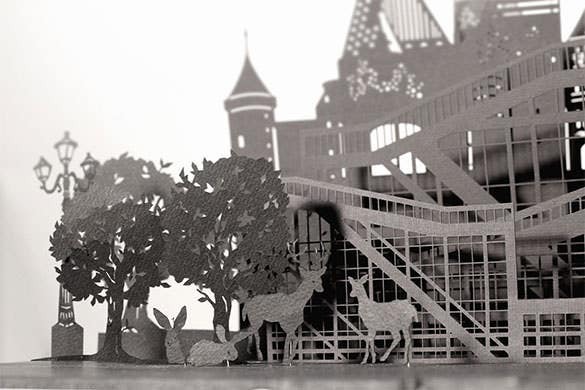 This best paper art template is free to download, and is a fun thing to make as well. Make this fabulous café on your own, and display your catering skills. 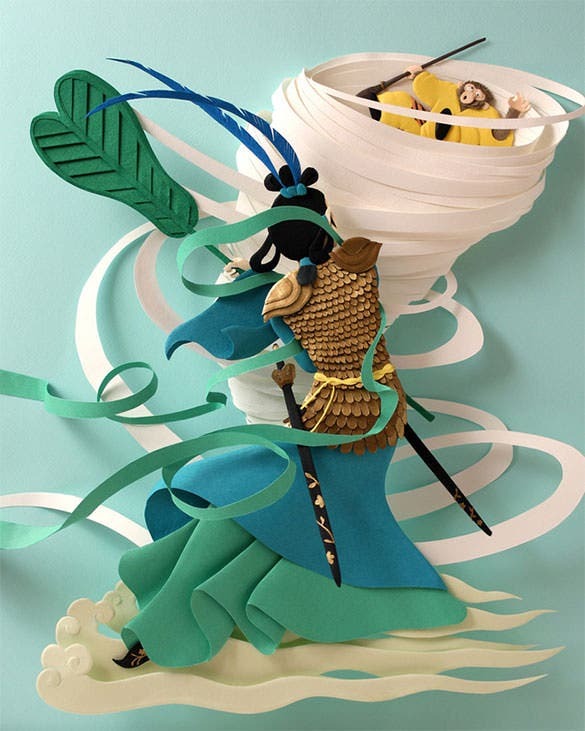 This beautiful paper art example is a perfect mix of modern art and bold style. 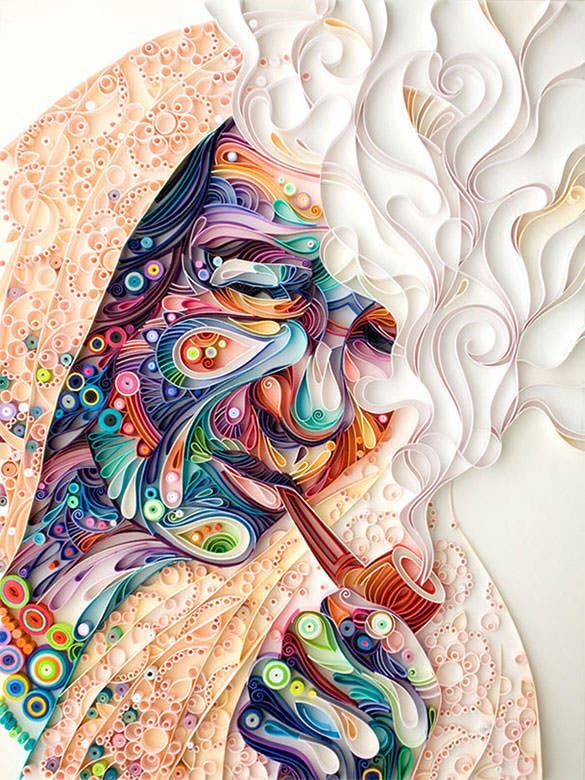 It shows a sari clad lady smoking a cigar and looking straight in your eyes. 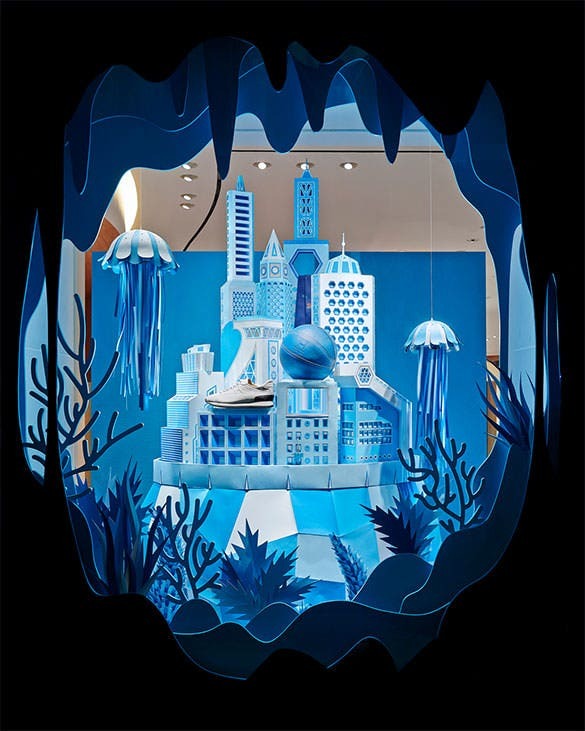 It is a unique example of art piece made by paper. Creating this masterpiece is not easy, but it can be done within eye-winks with this useful template. Ice-cream is an all-time favorite for kids as well as adults alike. 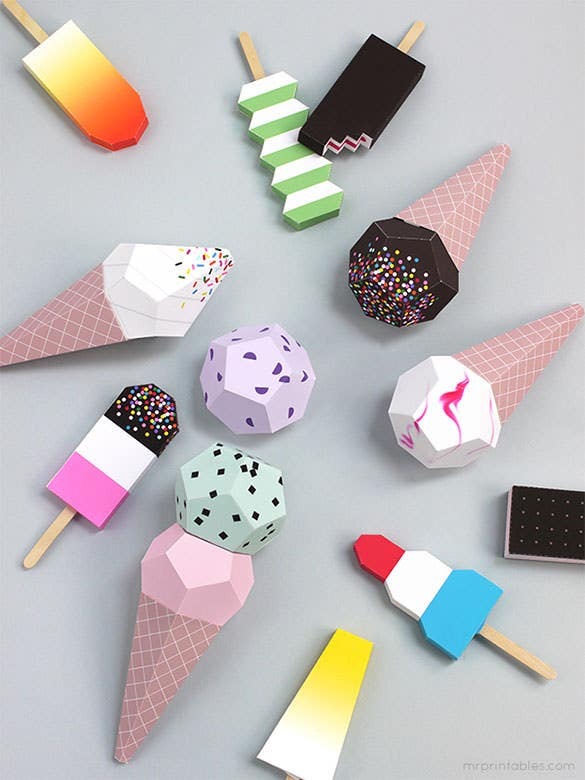 Whether you are a fan of the classy orange bar or the unique gourmet of chocolate chips and black forest, you will be able to create a replica with this ice cream paper art download. This is a great way to have fun, show off and decorate. Owl is symbolic of a deep connection between intuitive knowledge and wisdom. In Indian culture, it is the vehicle of Lakshmi, the Goddess of Wealth. 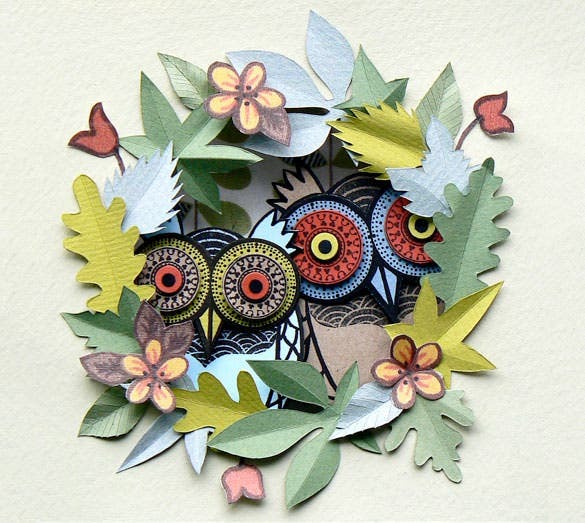 With this creative paper art download, you get a beautiful illustration of an art work with owls, huts, trees, the Sun and flowers. The entire scenery looks striking and attractive. 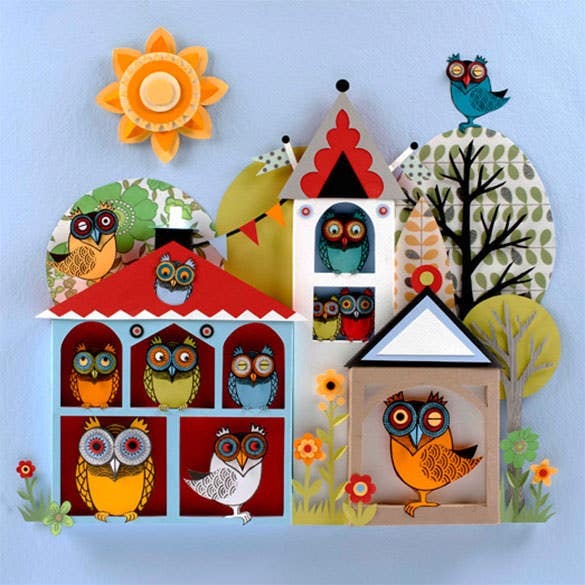 We are here with a massive list of a wide range of paper art examples that would offer a further boost to your creative spirit. 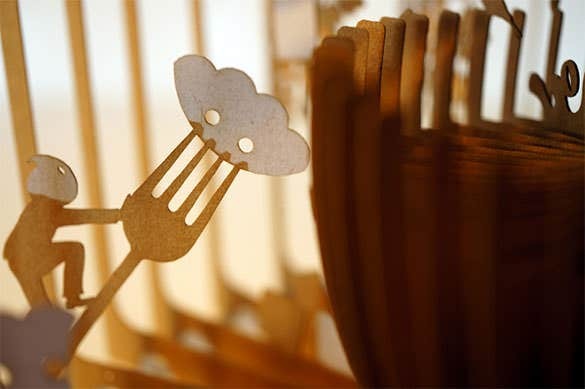 Paper art is also a wonderful way to utilize your free time in a functional way.